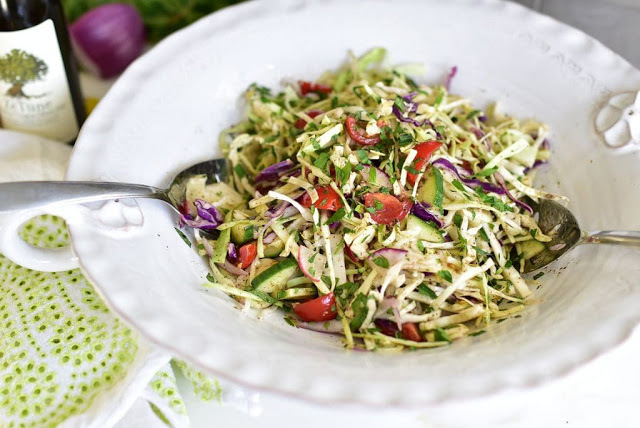 This is a seriously delicious Lebanese slaw, one we can't get enough of for its flavor, crunch, and super-duper healthy qualities! 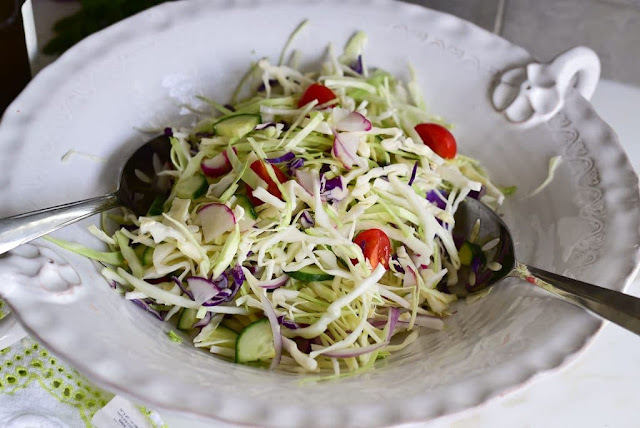 Be sure to cut your own cabbage for this one; pre-cut slaw is just too thin and soft for the crunch we're after here. Combine all of the salad vegetables except the herbs in a beautiful salad bowl. In a small bowl, whisk the garlic, 1 teaspoon of the salt, and lemon juice. Slowly drizzle in the olive oil, whisking continually. 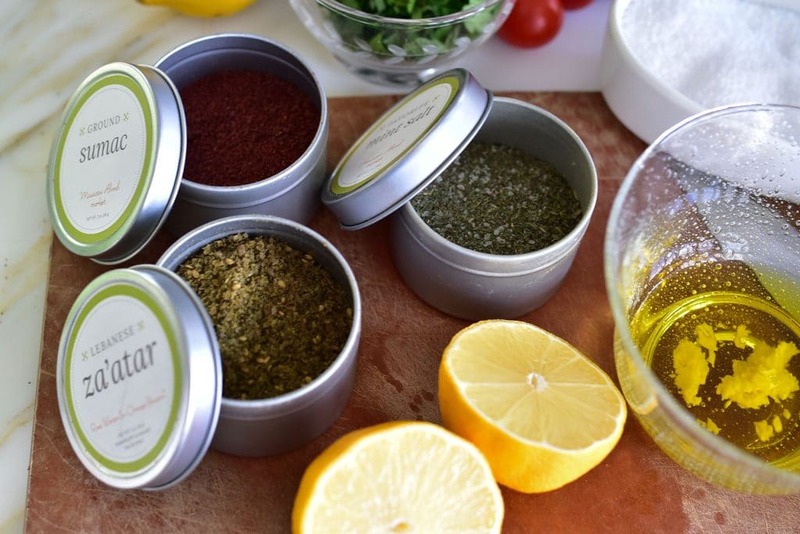 Add the za’atar, sumac, dried mint, and cayenne and stir to combine. Taste and adjust the seasonings, adding more salt and any other spices to taste.